In 1990, on our first mission trip to Nigeria, Africa, the Lord spoke to Karen, “Does anyone have compassion or care for my people?” Karen responded, “Lord, I do.” and it was then that the Lord spoke to us to give our lives up for the Nations. Then, in 1993, the Lord called us to full missionary work and gave us Ambassadors To the Nations. 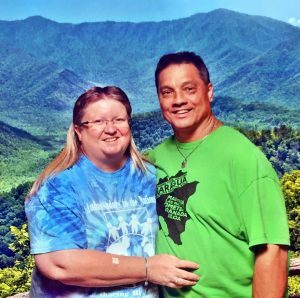 Pastors Darey & Karen have been taking mission teams, building churches, schools, medical clinics and raising up Bible Colleges in Nicaragua, Mexico, Guatemala, Nigeria, Cuba and many other countries. We take to heart the scripture in Psalms 2:8, and try our best to see this come to pass in the lives of the people we work with. “Would you be willing to radically change your lives for the sake of My people?”That was the question the Lord asked Pastors Darey and Karen Jolley twenty years ago. The Jolleys were willing and agreed to follow God’s plan, and as a result, Ambassadors to the Nations (Ambassadors) was founded in 1992. Ambassadors is an international missions ministry based out of the Jolley’s home church in Charlotte, North Carolina, Freedom Christian Center, Inc. The focus of their missionary work is on meeting the physical and spiritual needs of the poorest communities in Central America and North America through short-term mission projects. The Jolleys have launched Bible colleges in Mexico and Nicaragua, and also established and continue to operate four Pre-school/kindergarten programs as well as first through eleventh grade schools in Nicaragua. The ministry has also established churches, medical clinics and community stores in several nations. All contributions to the Ambassador’s Child Sponsorship Program are used to support the children’s needs. None of the funds are used for administrative costs. Darey and a missionary team member minister to school children. Our heavenly Father is faithful, and as always He had a plan in place to meet the Jolley’s growing financial need. Andrew Wommack, who is a longtime friend of Freedom Christian Center, approached Darey and Karen at their church’s annual camp meeting, and expressed his desire to help them with their ministry. When it was his turn to speak at the meetings, he called the Jolleys forward to the platform and asked them to share about their missionary work in Central America. They did so and thanks to Andrew’s endorsement, they were able to secure the much needed support. During his 2009 visit to Nicaragua Andrew helped Ambassador’s staff member, Pastor Daniel Ortega Reyes (far right) distribute food. In only a few short months after Andrew’s endorsement, Ambassadors to the Nations tripled in size. Today, Andrew continues to speak about the Jolleys and Ambassadors to the Nations, always highlighting their Child Sponsorship Program . This is a program in which a ten dollar a month contribution is made in the name of a sponsored child. The funds help supply food, clothing, water, school supplies, medical needs, and more for the children to whom the Jolleys minister. In addition to speaking on their behalf, Andrew has invited Darey and Karen to travel to his Gospel Truth Seminars and set up an Ambassadors ministry display table. The Jolley’s ministry has gained tremendous exposure working with AWM, and Andrew has personally given thousands of dollars to fuel the building of new schools, churches, and homes for those in Central America and Mexico. Ambassadors ministers more than humanitarian aid. Here Karen prays for an elderly woman. The Jolleys are not limited by small thinking. They are currently believing God for: support for a state-side missions office building; new feeding and Bible school programs in Nicaragua; support for a medical clinic in Nicaragua; support to pay for gasoline for their school bus in Nicaragua; Bible College support for Nicaragua and Mexico; funds for a toy mission; support for a nursing home in Mexico; and support for more full-time missionaries.